Four famous brothers turtles are on our screens again. Someone has unleashed hordes of robots Mousers and our heroes must stop them. Pick your favorite turtle and exterminate as many robots as you can. 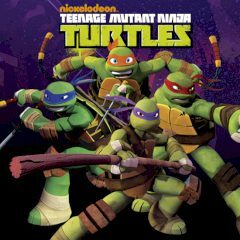 Games Similar Teenage Mutant Ninja Turtles. Mouser Mayhem!